I’ve been casually in the market for a 9mm carbine for a couple of years. My primary reason for having one is shooting steel at very close ranges in training. I have run into some facilities and /or targets where shooting regular 5.56 is a no-go. Right off the bat: I have not fired this gun. 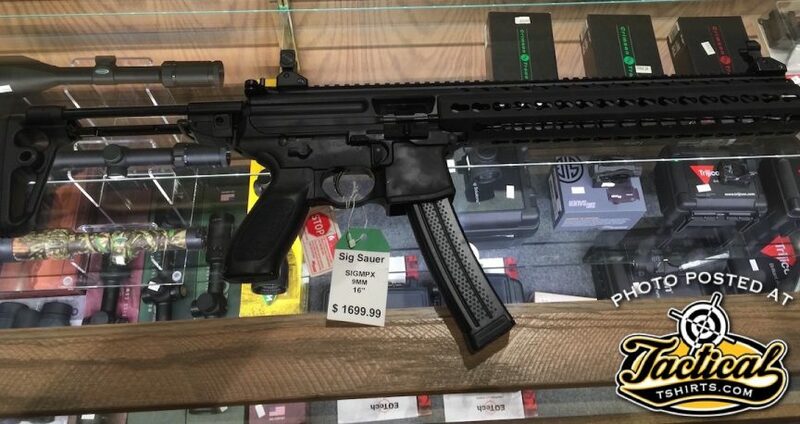 Just played with it in a gun shop. Price is steep. But it oozes quality. Truth be told, I actually haven’t even been been paying attention to the MPX at all. One, I am not a big AR guy. Two, I don’t really follow SIG products. And three which is related, I didn’t know there was a difference between the SIG MPX and the MCX! Whoops. Not to be too morbid, but I never even looked at the SIG MCX/MPX until after the gay nightclub islamic terror attack when everyone was saying, “It’s not an AR”. But I digress. 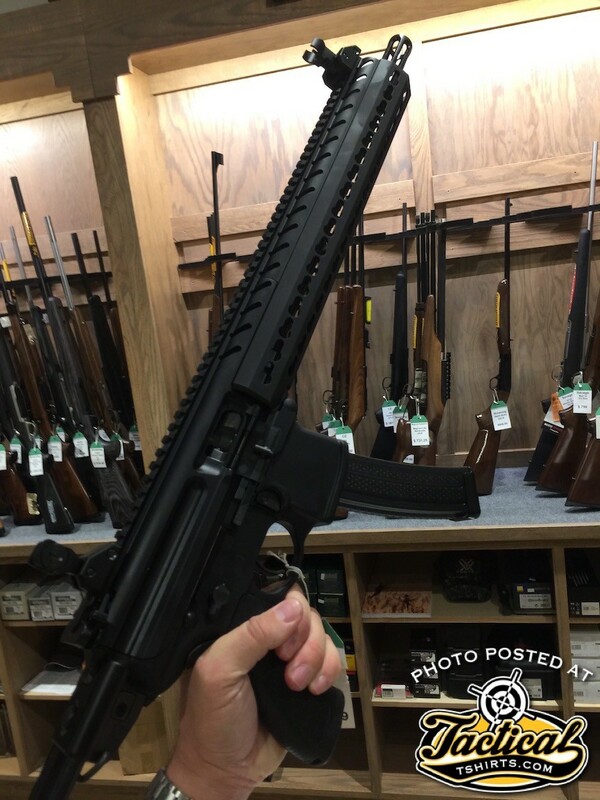 Saw this MPX in a shop and decided to check it out. And I’m not exaggerating here…I was all kinds of, “Holy crap this is a nice gun”. 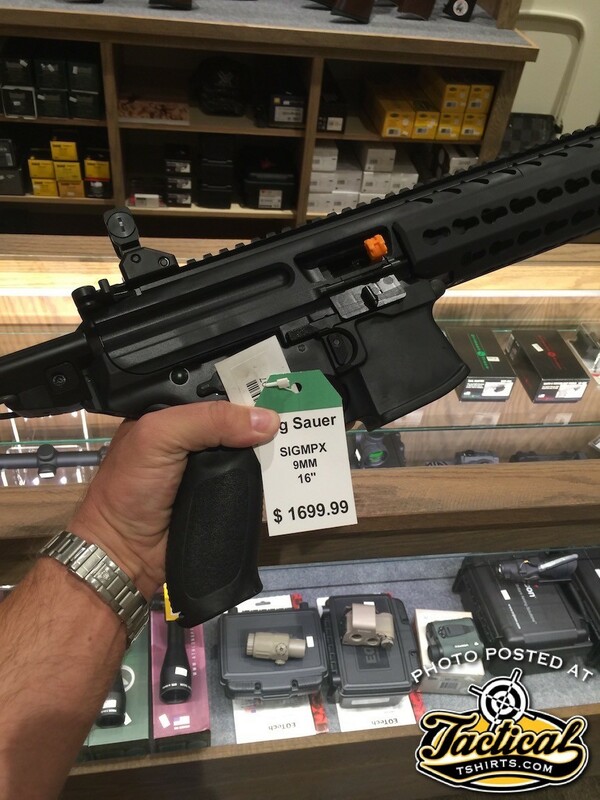 Liked the carbine so much, I could see buying it over the SBR pistol. From what I can tell, it’s format is very AR like, but seems to be scaled down for use with the 9mm caliber. Also…it has a small piston system that looks a hell of a lot nicer to maintain than a DI gun. It’s got dedicated 9mm magazines that work flawlessly with the built-in mag-well for super fast and easy reloads. All the controls are AR pattern including the mag-release and bolt-catch. And it seems really well made. The magazines are top-notch. Probably the best 9mm mags I’ve ever seen in a carbine. The only down side is the magazines are proprietary and retail for around $65.00 Ouch. But…it’s a dedicated range toy. So how many mags to you really need? 3-4 max? And they work so well with the design, that it is actually superior to some of the other ad-hoc 9mm magazine nightmares I’ve tried over the years. 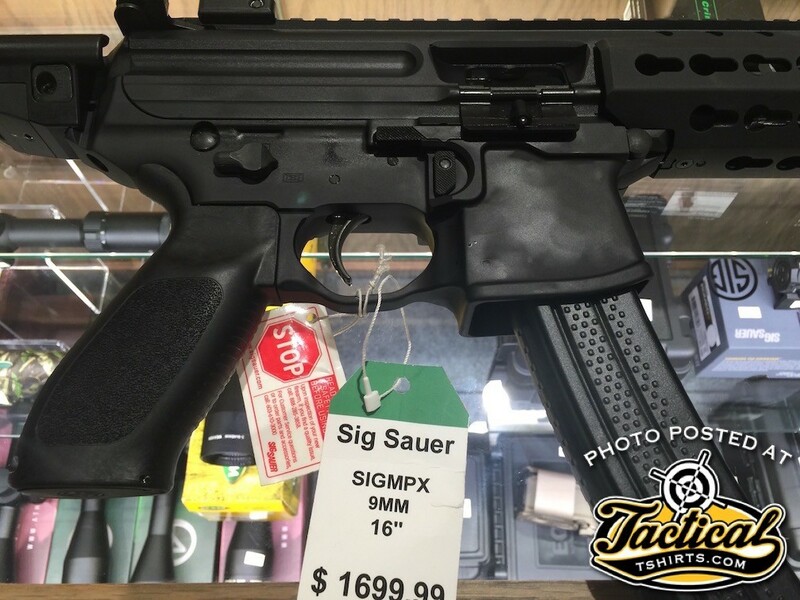 SIG MPX. A very nice carbine. Bottom line: This gun may fall flat on it’s face after the first round fired, but right now it looks like a strong win to me. This is my leading contender for a 9mm carbine. Head-And-Shoulders above number two. And considering…I haven’t fired it, that’s saying something. Expect to see one in the armory sometime in 2017. For sure.